IRIS offers the perfect solution for storage. The IRIS shoe box cast in a beautiful design to store all your shoes up to size 49.5. This model is especially for men. Thanks to the handy system, the boot box is stackable and easy to open from the front. 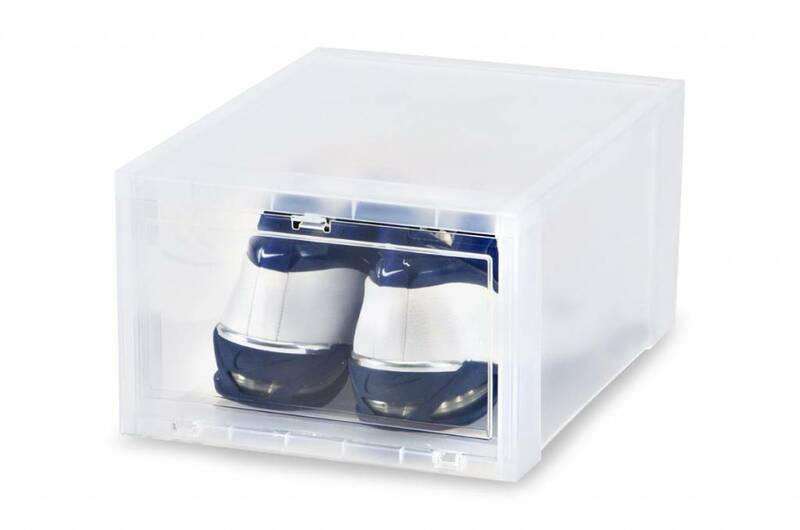 The shoe box is transparent so the shoes in the box are visible so you can easily find the shoes you are looking for. The shoes box also keeps the shoes free of dust. Handy in the wardrobe and to stack or stack apart in the hallway. The IRIS plastic footbags offer you many advantages. 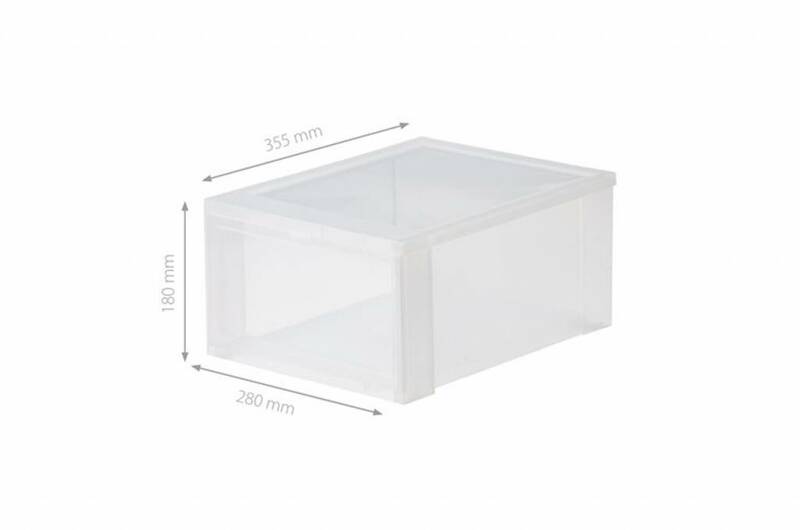 The products are lightweight, easy to clean, easy to use and durable. • Lightweight, easy to clean, easy to use and durable. IRIS stands for innovation in plastic consumer products and aims to reconcile consumers '/ users' daily lives with their products. IRIS 'product development focuses on modern lifestyles and combines them with high-quality designs to create end-user-targeted products. IRIS offers the perfect solutions for interiors, household items, DIY and office supplies. Production takes place in the Netherlands.